Grandma's jellies are the jelly glasses that were on the market from WWI through WWII and beyond. 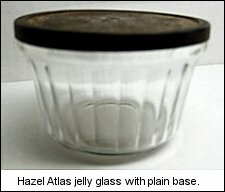 They were produced and sold primarily by the large glass manufacturers Ball, Kerr, Hazel Atlas, Presto and others. 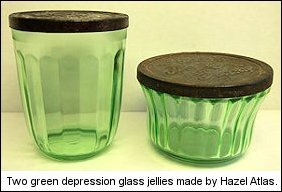 These jellies were designed to be used by home canners and often sold by the dozen. They were sealed with paraffin wax and a tin lid. 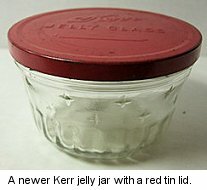 The tin lid was initially a dust cover but could be used to cover the jelly once it was opened and the paraffin removed. 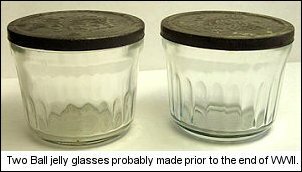 Eventually these jelly glasses were replaced by ones sealed with a screw band and a dome lid.